The Grey Cup celebrations are over and many of the players have gone home, but the work towards the 2018 season has already begun. The moving and shaking is already well underway on all nine fronts (10 if you count some movements in the CFL front office) with a few early free agent re-signings and coaching shakeups. 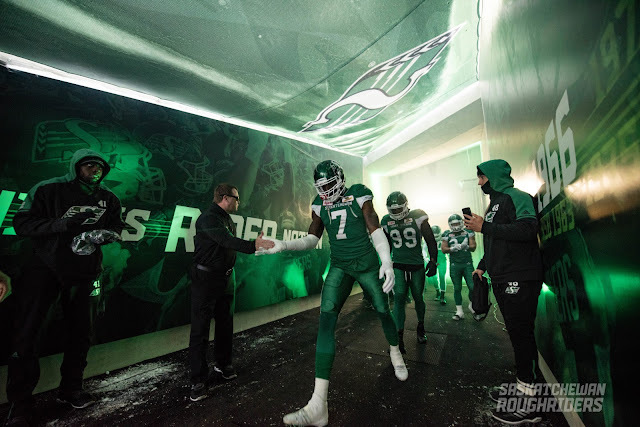 We will head Out of the Tunnel with a look at the CFL free agent list. Teams can re-sign their players at any time, but free agents wanting to test the market will have to wait to really test the waters until noon EST on February 13th, 2018 (or keep things under wraps … which is illegal, but let's face it, it does happen). Most publications and websites will give you the top 10 overall free agents, but that's tough because one team’s top player isn’t necessarily a need for another. So, to make it easy, here is an early look at the top three free agents at each position. We'll begin this week with the defence while the offence and special teams will be next Monday. Note: this will not take into account any players trying out for NFL teams or possibly signing with NFL squads, retiring players, or players that are rumoured to have signed but not confirmed. We begin with what is by far the strongest unit in the bunch. There are six 2017 divisional all-stars, a handful of former all-stars and solid players that can round out a team’s backfield. If a team wants to completely rebuild its defense, they can start here. The young defensive back had a breakout season on a terrible Montreal Alouette club. Mincy was a 2017 East Division all-star and was recently granted his early release to pursue NFL opportunities. He has started 32 of 36 games in two CFL seasons and picked up 54 tackles and two interceptions this past season. In an incredibly strong defensive backfield (that includes former all-stars Tommie Campbell and Jamar Wall), it was Evans that picked up his second straight West Division all-star honour in 2017. He was in the top ten in CFL interceptions with five and picked up 53 tackles. He has started in 33 of 34 CFL games played. After spending time with eight NFL teams in five years, Heath found a home at halfback with the Winnipeg Blue Bombers. He has been a West Division all-star in both of his seasons with the Bombers including 2017. His five interceptions this season gives Heath 12 in his very young CFL career. Other players of note are 2017 CFL divisional all-stars Chris Randle (Winnipeg), Rico Murray (Toronto), Cassius Vaughn (Toronto) and former divisional all-stars Aaron Grymes (Edmonton), Jamar Wall (Calgary), Tommie Campbell (Calgary) and Brandon Smith (Calgary). Other top players include T.J. Lee (B.C), Loucheiz Purifoy (B.C.) and the top Canadian DB, Jermaine Gabriel (Toronto). This is an interesting group and one that is tough to really peg. It’s easy to pick out the true blue linebackers (Bear Woods, Jeff Knox Jr. and the like) but there are the cover linebacker/nickel backer players that are listed as defensive backs (Kenny Ladler, Otha Foster, Shaq Richardson) that make this tough at times. It’s not a deep group, but there are some options. After two seasons between the practice roster and earning his keep on special teams, Adam Konar had a fantastic third season in the CFL. After starting the first three games of the season, he was part of the large rash of injuries the Eskimos suffered in the first half of the season. In the 12 games he started, Konar had 59 tackles and a couple of interceptions. He can be that difference maker on the field and with the ratio at linebacker. After an outstanding rookie season in 2016, Kenny Ladler topped it this season with his first divisional and CFL all-star nod. He had 86 tackles and three interceptions as well as a pair of forced fumbles. He has started in all 34 games he has played and can also help out with his special teams coverage skills. Because of injuries to Winnipeg’s Maurice Leggett and Edmonton’s J.C. Sherritt, Bear Woods may be the next best middle linebacker in the group. After controversially being cut from Montreal before the season began, the two-time divisional all-star had yet another great season. Woods’ 90 tackles were good for sixth in the CFL, he also added a pair of sacks. The only knock, he will be 31-years-old in January and has a lot of miles on his body. As we noted above, ruptured Achilles injuries played a factor in this group with J.C. Sherritt suffering his in week one of the season and Maurice Leggett had his late in the year and both will be questionable for week one of 2018. Other top players in the group are former all-stars Jeff Knox Jr. (Saskatchewan), Otha Foster (Saskatchewan), as well as Taylor Reed (Ottawa) and Canadian Sam Hurl (Winnipeg). Like the linebackers, it’s not a deep group, but Canadians rule the roost here. If a team needs any ratio-busters along the defensive line, and you have the cash available, step up and fill out your lineup. There are a couple of American defensive ends that will turn some heads (Willie Jefferson, Ja’Gared Davis). Jefferson had career highs in sacks (8), quarterback pressures (a league high 45), and tackles (45) and it led to his first West Division and CFL all-star nod. If there was an award for the league’s top defensive lineman, Jefferson would have won it in 2017. Laing picked up his second East Division all-star nod in 2017 via his five sacks and 10 tackles from his defensive tackle spot. He helped free up Shawn Lemon and Victor Butler to pick up a combined 18 sacks and 53 quarterback pressures. The two-time Grey Cup champion and 2016 East Division all-star had yet another great season in the middle of the Redblack defensive line. Evans collected five sacks and 23 tackles in 2017. He is only 27-years old, but is already entering his seventh season in the CFL. Other free agents of note include: former all-star Canadians Alex Bazzie (B.C. ), Jamal Westerman (Winnipeg) and Ted Laurent (Hamilton). Eddie Steele and Justin Capicciotti can be key Canadian cogs in a defensive line. Ja’Gared Davis (Calgary) and Craig Roh (B.C.) would be solid additions at defensive end. Comment below with your wishlist of defensive free-agents for your favourite CFL team! Franklin to the Argos, not the Riders.